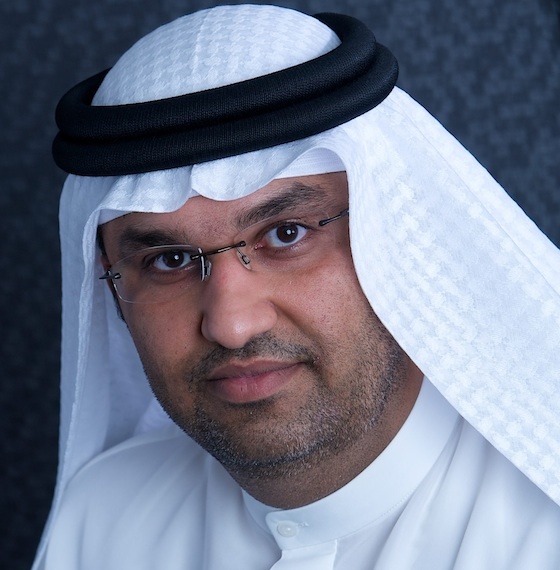 Dr Sultan Ahmed Al Jaber, the Masdar CEO, is the recipient of this year’s United Nations’ Champions of the Earth award. The award honours individuals whose actions and leadership have had a far-reaching positive impact on the environment, in advancing clean energy technologies to mitigate the threats of climate change. Abu Dhabi’s multi-faceted renewable energy company, Masdar, has created the first-ever clean-energy-powered eco-city in the kind of oil-rich environment much more conducive to discounting climate change. But Masdar’s night solar tower project in Spain – Gemasolar, is a true “tipping point” investment in a clean energy future. The company spearheads the changes we must make for civilization to survive. Gemasolar, funded by Masdar and developed by Torresol, is the first of the utility-scale solar power plants of the future, able to ship power on demand to supply whatever peak a region has. The only other project that uses this technology; SolarReserve’s Tonopah plant being built near Las Vegas has been contracted to begin shipping its solar power at noon and stopping at midnight, for example. This type of solar is real solar on demand; day or night. Despite the huge advantage of such a flexible energy supply from solar, CSP plants like these are at the top of the cost curve at a time when PV prices are plunging. Thermal solar or concentrated solar power (CSP) works the same way as traditional thermal power plants, but uses the clean energy of the sun’s heat as the fuel. Most funding would go to the easy solar, PV, with its rock bottom prices – after a decade of furious competition. But in Gemasolar, Masdar pioneered the commercial scale development of a technology that uses molten salt as both the transfer fluid and the storage medium for energy within a tower (for the maximum gravity-assisted energy efficiency) at a time when CSP technologies are only just beginning to be built in enough numbers to begin to benefit from the efficiencies of mass production. So it is an important investment that should begin to do for CSP technology what Chinese manufacturing smarts has done for solar PV. Dr Al Jabar also serves as a member of the UN Secretary General’s High Level Panel on Sustainable Energy for All, which aims to double the share of renewable energy in the global energy mix by 2030, achieving universal energy access, and is also a member of the UN Secretary General’s Advisory Group on Energy and Climate Change (AGECC). Like “the Green Shiekh” Dr Al Jabar was strongly influenced by Sheikh Zayed Bin Sultan Al Nahyan. The award is deserved. Perhaps the extreme vulnerability of the desert region has influenced this far-sighted vision of the clean energy future we must develop. We need more and more role models like Mr. Al Jaber to revive the ummah. Islam is the religion of science. The first word in the Quran is Iqra which means read and symbolises the pursuit of science, excellence and knowledge.